Now I will move on to the review at hand. On a side note, does february have more light-hearted reads set to release because of valentine’s day? All the books that I have to read for the first week of february seem to have a standard theme. I started this book slightly wary, because although I enjoy a good book with all the feels, I have been finding it hard to find the ‘right’ one where the narration suits my taste. This one almost hit the mark. I say almost because of a few points that I will highlight later in the review. This is a story of a woman who thinks she is happy with her life. Holly is mourning the loss of her grandfather but cheering herself up with the thought that her grandparents were together again (her grandmother passed a few years earlier). Having spent a considerable chunk of her time with them growing up she has modelled a lot of her behaviour in hopes of achieving the domestic bliss they seemed to have. This has landed her in multiple unsatisfactory situations. Her home life being one of them. When she snaps, she ends up making a temporary move to spain, on her own and deciding to be off romantic relationships. This section of the story is the highlight. As she works her way through a list of dreams, and helps her friends set up their artist retreat, she hones her own talents and works magic on her surroundings. The description of the daily trials were the best part. They were even better than reading about the burgeoning relationship between her and her neighbour. 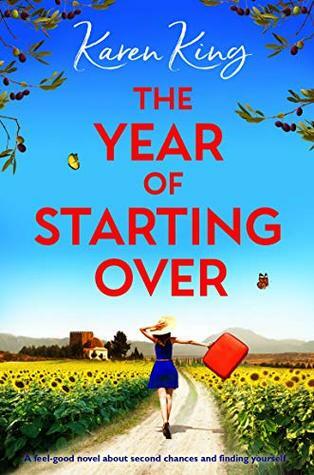 I gave this book three stars initially, but on rethinking I realised that although I did not weep with her, I did enjoy the overall experience and was left with a pleasant mood after. The reason I thought it could have been better was part of the narrative were repetitive(In terms of dialogues, when they tell multiple characters the same thing one after another, but by then we already know the content of that conversation) and I think if that was removed, there could have been more elaboration into the family dynamics of Matias and his family. There are enough hints dropped but introducing Holly into the mix and showing us the results would have been fun. Overall I recommend this book to those looking for an upbeat book. Holly and her new-found confidence will bring a smile to your face if nothing else.Plus there is a cute dog that makes a lot of guest appearances. I received a review copy thanks to NetGalley and the publishers and this book is set to release on the 7th of February.